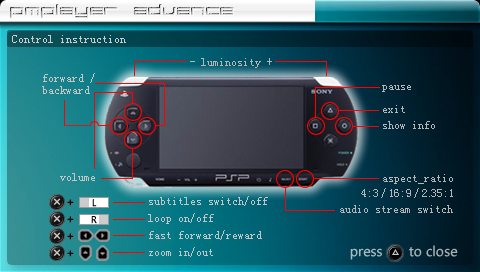 Cooleyes has updated his video advance player for the psp. 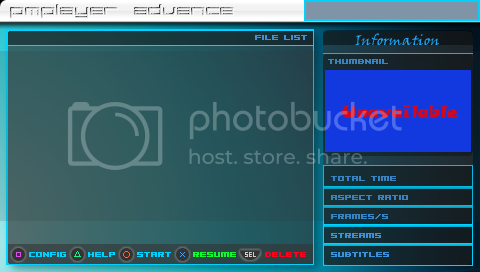 PMPlayer is an advanced video player for the PSP, its video capabilities far extend that of the XMB. Which formats does it plays? like these two version's what they do ?? what are they for ?? one customized the other is not ?? (22/04/2011 12:21 AM)Neri0n Wrote: more info please ..
Its only my skin edit version both are the same. (21/04/2011 06:51 PM)teosama Wrote: Which formats does it plays? It mainly plays AVC h.264 for video, AAC, MP3 for audio. Also FLV (Youtube) and 3GP (mobile phones). 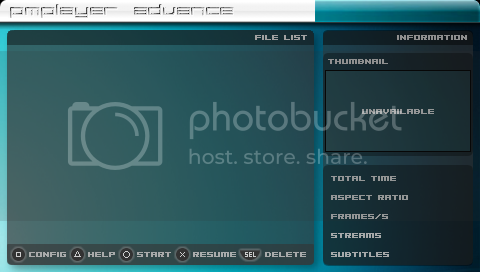 It can read containers like MP4, MKV, PMP but not AVI (most people don't know AVI is a container too). 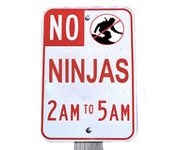 So no XviD, DivX. Heh... Most people see MKV and they go like "ZOMG it plays HD???". No, MKV is a CONTAINER for video and audio tracks. If you try to run a 720p clip, the CPU won't be able to handle it. Right click and save the image to the above folder - or to your computer, then the memory stick. Most people see MKV and they go like "ZOMG it plays HD???". No, MKV is a CONTAINER for video and audio tracks. If you try to run a 720p clip, the CPU won't be able to handle it??? (09/05/2016 04:40 AM)alfredalfred Wrote: Most people see MKV and they go like "ZOMG it plays HD???". No, MKV is a CONTAINER for video and audio tracks. If you try to run a 720p clip, the CPU won't be able to handle it?? ?